This travel adventure is designed for those who are searching for a new, rich, and unique experience. 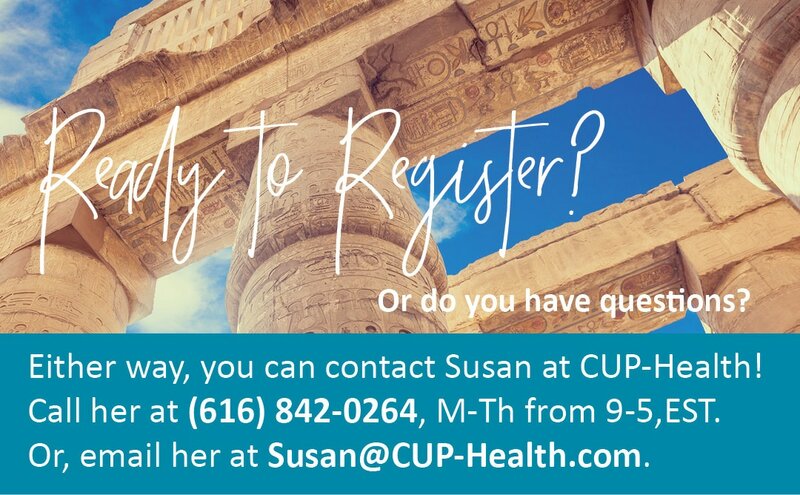 We are excited to offer a small group opportunity to 15 individuals who feel drawn to the ancient lands and history of what has been called "the birthplace of civilization". 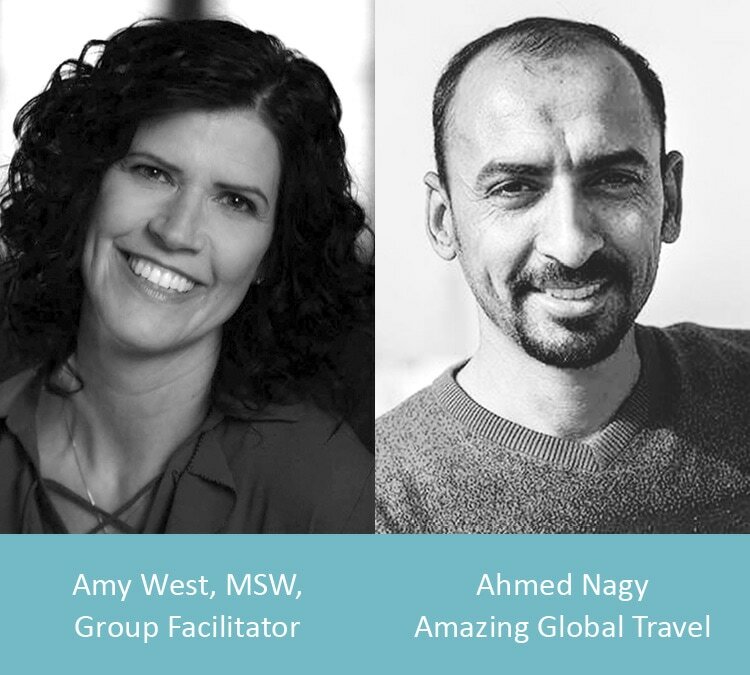 For ten days and nine nights, you’ll be joining Amy West, MSW, President of CUP Health, and Group Facilitator as she partners with Ahmed Nagy, University of Cairo, Ancient Egyptian History Graduate, and owner of Amazing Global Travel (AGT) for this transformational experience. Not a typical “sight seeing” trip, this culturally enriching tour offers you the opportunity to explore the ancient history and sites of Egypt, while providing a unique exploration of the culture, the land, and yourself. *While paying in installments is an option, spots will only be held for the first 15 to pay in full by 1/15/18. Prepare for next day’s departure and travel. Remember your passport! Check out of room, bags in hallway at 5:00 a.m.
9:00 p.m. Egyptian Galabia Party—no preparation required, however you will need to make a small purchase of $10-$20 from the market at the time and you will be helped by your facilitators. Prepare to depart cruise ship in the morning. Lunch on your own at hotel—four dining options available. Make sure you have your passport! From $4,025*—10 Days/9 Nights Egyptian Travel Program with Hotel, Cruise Ship, and Airfare from major US city TBD—Cairo, Luxor, and Aswan. $500 Non-Refundable Deposit is required for registration. ​*Price per person is based on double occupancy or pay an additional $650 for a single room. • Pay in full $4,025. • Must be paid in full by 1/15/18 to confirm your spot on this trip. After 12/1/17 - 100% of payments you have made become non-refundable for any reason; including but not limited to personal, financial, medical, health, or emotional issues that prevent you from joining us on the trip. DISCLAIMER: The hotels and sites indicated on this itinerary are subject to change for comparable accommodations or locations without notice but only when absolutely necessary or warranted.